With their ancient pedigree and spectacular blooms, these tremendous trees come in all sizes and colors. DURING MY TIME as director for landscaping at Seattle University, one of my goals was to create a collection of magnolias on campus. Few, if any, trees have such magnificent flowers. 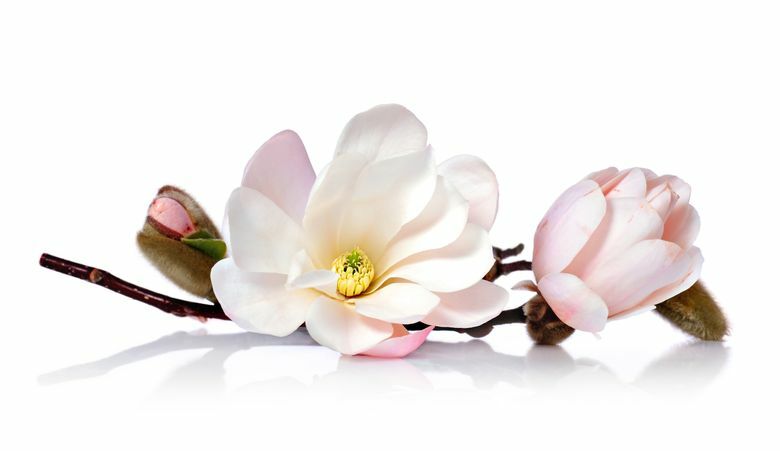 Scientists theorize that the reason they produce such big, beautiful blooms is because magnolia is such an ancient genus. Most of the 210 known species appeared before bees, and it’s believed the spectacular flowers evolved in order to attract beetles for pollination. Whatever the reason, most nurseries carry a great selection of these beautiful bloomers, so it’s easy to find one that will work in almost any size garden. One of the first magnolias I planted on the Seattle U. campus was Sargent’s magnolia (Magnolia sargentiana var. robusta). Truly one of the most spectacular of all flowering trees, it can reach 35 feet tall and wide, and weighs down the bare branches with an abundance of gorgeous 12-inch-wide, mauve-pink fragrant flowers. I planted this majestic tree right in the heart of campus, where its flower display could be appreciated to the fullest. The problem was that I could find only a small one back then, and although it supposedly takes 10 to 12 years for these trees to begin blooming, this one took 18! It finally bloomed in the spring of my final year at the university, but it produced only one flower. Fortunately, it was just getting started, and every spring I visit the campus to enjoy the awe-inspiring display. 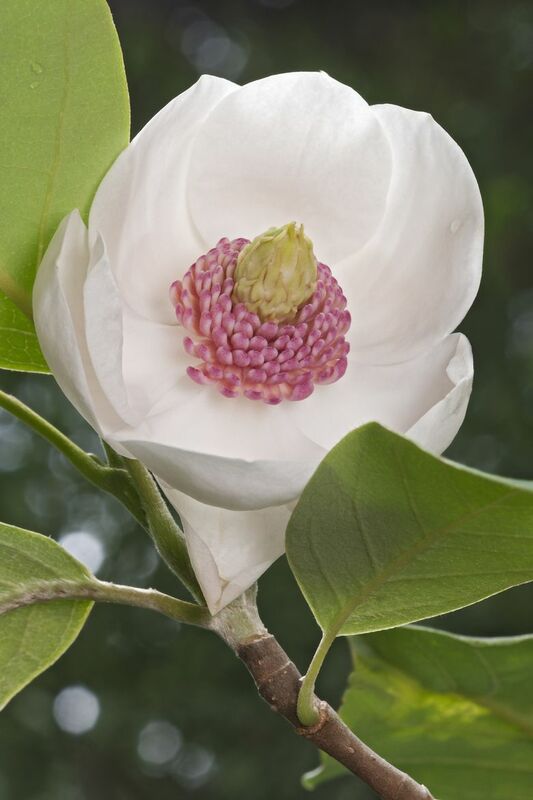 A deciduous magnolia better suited for a smaller garden is Oyama magnolia (Magnolia sieboldii). Growing 15 to 30 feet tall and wide, it produces down-facing, lemon-scented, porcelain-white blossoms centered with crimson stamens. The flowers are produced in abundance in late spring, bloom sporadically during summer, then end the season with a prolific display in fall. This magnolia is especially effective above a patio, where visitors can look up into the nodding flowers. Magnolia sieboldii requires a sunny location. If sun is lacking, Magnolia wilsonii is a shade-tolerant spring bloomer that grows to about the same size and has similar nodding, red-centered flowers. 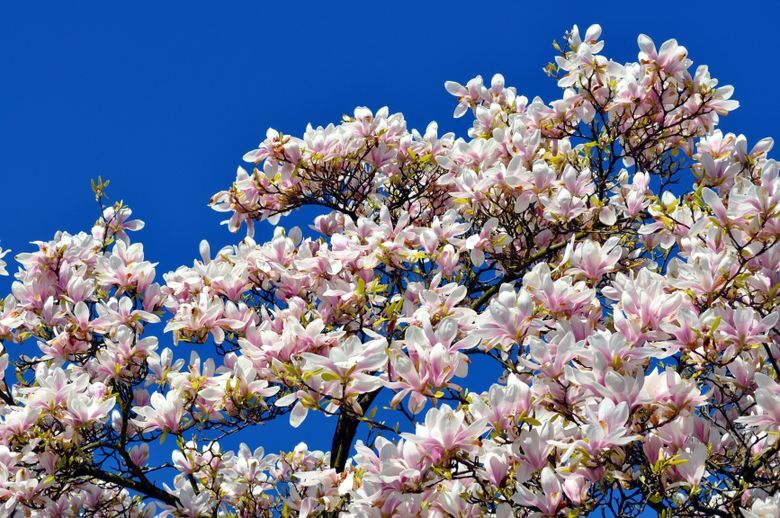 The most popular magnolia is the tulip tree (Magnolia x soulangeana). It produces such a profuse display of 6-inch, cup-shaped fragrant blooms, you can barely see the branches. There is quite a number of hybrids available, each growing to different sizes. Two with especially attractive flowers that rarely exceed 15 feet tall are Magnolia x soulangeana ‘Ann’, featuring reddish-purple flowers, and Magnolia x soulangeana ‘Black Tulip’, with deep burgundy-red blossoms. 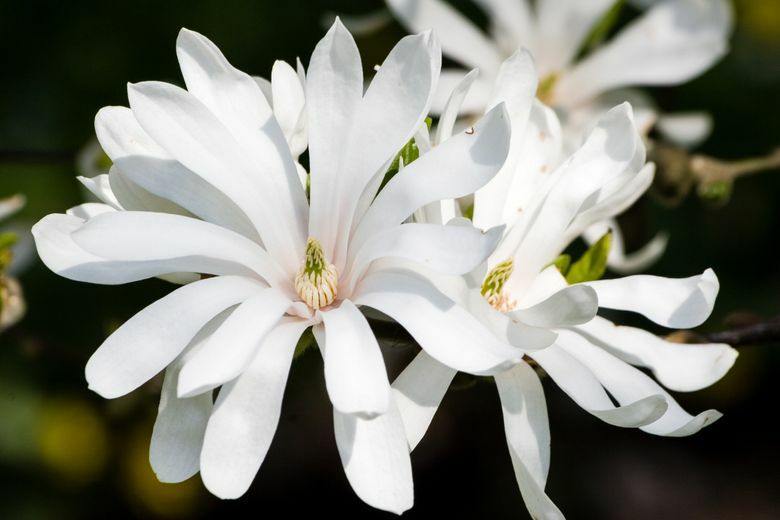 Star magnolia (Magnolia stellata) is a good choice for the mixed border. These compact trees are among the first to bloom, with multitudes of starlike, narrow-petaled blossoms on bare stems in late winter. Varieties are available with flowers that come in various shades of pink or white. Magnolia stellata ‘Royal Star’ is a showstopper, eventually forming a 15-foot-tall, open-branched, multitrunked tree showcasing wonderfully scented, snow-white double flowers. Finally, if you want to add a tropical feel to your garden, Magnolia grandiflora ‘Little Gem’ is the tree for you. Hardy to about 0 degrees, this slow-growing evergreen can eventually reach 25 feet tall and 15 feet wide. The large, leathery, dark-green leaves are undercoated with fuzzy cinnamon-brown felt. Six-inch-wide, deliciously fragrant creamy-white flowers that appear intermittently all summer add to the exotic mystique. The Achilles’ heel for all evergreen magnolias is that branches often break in heavy snow or ice storms. Fortunately, if breakage occurs, pruned back below the damage, the tree will grow back beautifully. 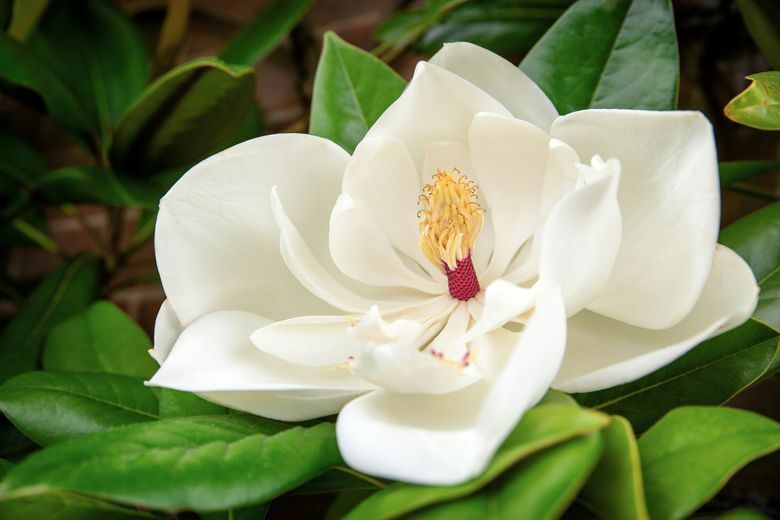 Magnolias must have well-drained soil to survive and rarely thrive in clay. Most do best in full sun or partial shade. Prune minimally during winter dormancy, or right after blooms fade, to maintain an attractive framework. If you grow a big one over a public sidewalk, don’t forget to rake up the fallen petals. They’re so slippery, it’s like walking over a minefield of banana peels! 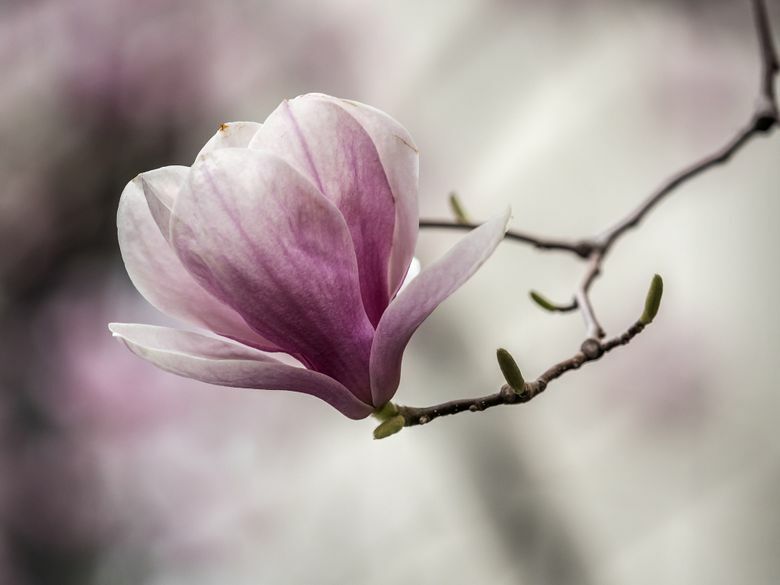 To see magnolias in bloom, visit the Seattle University campus or the Washington Park Arboretum in early April.